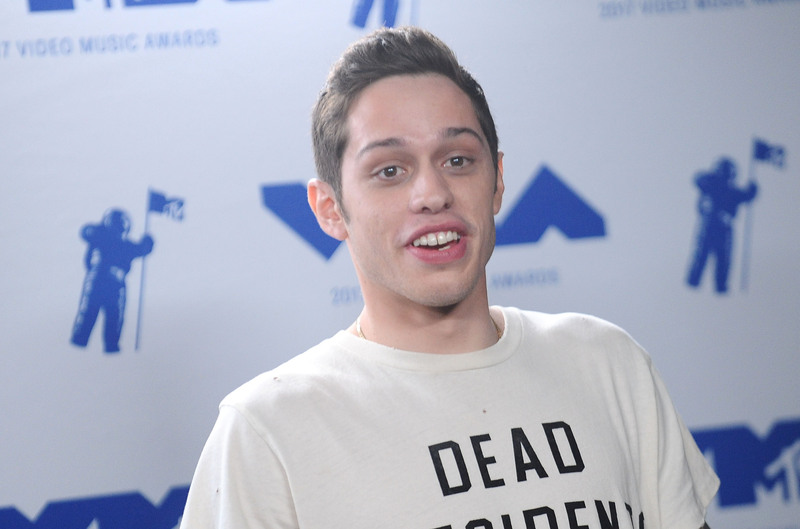 Pete Davidson is basically the king of spur-of-the moment tattoos. The SNL star famously has ink over large portions of his body, and has covered up at least two ex-related tats in the past year (and that’s only the ones we know about). However, let’s hope his most recent tattoo is here to stay. That’s right…it looks like Davidson has honored another important woman in his life. As in Supreme Court Justice Ruth Bader Ginsburg. As crazy as this may sound, it’s actually not that unexpected for the comedian. Not only does he get new tattoos on the reg, but much of his comedy—both in his personal standup and his frequent bits on Weekend Update—is political in nature. While he often plays the part of “disengaged millennial,” Davidson doesn’t hold back when it comes to supporting progressive platforms and legislatures. Tattoo artist Dave Sirus of No Idols Tattoo in N.Y.C. posted a picture of the new tat—which is on Davidon’s right shoulder—on November 20th. Honestly, we love it. And we have a feeling this is one piece of his body art that’s here to stay.